Sa-wat dee! Welcome to Thailand. Your adventure begins with a welcome meeting at 6 pm on Day 1. Please look for a note in the hotel lobby or ask the hotel reception where it will take place. With free time, why not take a riverboat to Chinatown and explore the crowded streets, uncover the magnificent Grand Palace and the Temple of the Emerald Buddha, wander down the tourist mecca of Khao San Road, or indulge in some Thai massage? Travel from Bangkok to Siem Reap by private bus today (approximately 10 hours, including the border crossing and lunch). You will exit Thailand at Aranyaprathet and enter Cambodia at Poipet. Your leader will help you with border procedures. If you are getting your visa at the border you will need cash in US dollars. From Poipet to Siem Reap is approximately another 150 km. When you arrive, perhaps spend the evening relaxing in preparation for tomorrow's visit to Angkor Wat. Today you'll visit the world-famous Angkor complex with your guide. The ruins are scattered over an area of some 160 square kilometres; this is the biggest religious monument in the world. However, the main cluster of temples is close to Siem Reap, so you'll have plenty of time to fully appreciate the great archaeological sites of Angkor Wat (the astounding main attraction), the Bayon (a marvel of many sculpted decorations) and Ta Prohm (the eerily beautiful temples covered in jungle). Notes: A single-day Angkor Pass is included on this tour. If you'd like to return to Angkor outside of your included visit, you can buy a longer pass. Just ask your leader. Enjoy free time in Siem Reap today. If you feel like some adventure, you can take the optional Angkor zip-line course, which gives you a birds-eye view of the rainforest, plus an adrenaline rush. Other options here include a visit to the sobering Landmine Museum ' it's located a little further field but is well worth the journey. There is also the Siem Reap Street Food by Night Urban Adventure, a three-hour tour which allows you to taste the many flavours of the city and feel the buzz of the local markets. Travel by public bus to Kompong Cham (approximately 5 hours). This peaceful town was once an important trading hub and is now a great opportunity to experience life in small-town Cambodia. A great option here is to visit the serene 11th-century Wat Nokor. You can also hire a bicycle to explore the rural island of Koh Paen, which is linked to Kompong Cham by an elaborate bamboo bridge (it's passable only in the dry season, take a ferry in the wet). The locals here make their living fishing, growing tobacco and sesame so it's a good place to go for a closer look at some of Cambodia's cottage industries. A little further afield are the twin 'mountain temples' of Phnom Pros and Phnom Srei. Travel by private bus to the capital city of Phnom Penh (approximately 3 hours). Cambodia's capital is set on a major junction of the Mekong and Tonle Sap rivers and boasts some fine examples of French-inspired architecture. A recommended option is to visit the Choeung Ek Memorial, where a stupa made of some 8,000 human skulls marks the site of the infamous Killing Fields, the execution ground for the torture victims of Tuol Sleng. Or learn about a brighter period of Cambodian history by visiting the Royal Palace and Silver Pagoda. Wat Phnom, shrouded in myth, is equally worth a visit, as is the National Museum with its excellent Khmer collection. Cyclo tours around the city are a great alternative to walking and generally include the central market, US Embassy, Wat Phnom, Mekong river front, independence monument and Royal Palace. Keen shoppers can hit the art-deco Psar Thmei (Central Market). Enjoy a day of free time. There are a variety of exciting optional activities on offer. You can take a boat to one of the nearby islands, enjoy a barbecue lunch or simply relax among swaying palms, white sands and blue waters. Perhaps make the trip out to the Ream National Park, which boasts 21 hectares of coastal mangrove forest and a great variety of animal and bird species. You may like to take a Khmer cooking class, or perhaps partake in some windsurfing or kitesurfing. Take a local bus back to Phnom Penh (approximately 4 hours). This will be your last night in Cambodia before moving on to Vietnam tomorrow. If you're looking to indulge in some proper rest and relaxation, the Seeing Hands massage parlours are some of the best in the city, and all patronage supports the visually impaired masseurs whose years of expertise may be just what you need today. Travel by local bus from Phnom Penh to Ho Chi Minh City (approximately 7 hours). You will exit Cambodia at Bavet and enter Vietnam at Moc Bai. Your leader will again assist you with border crossing procedures. Get out and discover the city's blend of old and new, East and West, when you arrive. Be sure to sample a baguette or some of the excellent coffee on offer ' both markers of the city's strong French influence. Equally essential are visits to Reunification Palace (the site of South Vietnam's surrender in April 1975) and the War Remnants Museum. 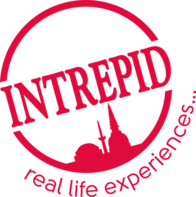 Some of Intrepid's Urban Adventures available in in this city include Mekong Discovery, Cyclos & Markets, Cu Chi Experience and Saigon Street Food by Night. If your staying longer in Ho Chi Minh City and you'd like to take one, your leader can help you book. For your final day, there are no activities planned and you are free to depart the accommodation at any time.